Did you know that only 22% of businesses are satisfied with their conversion rates and 62% of marketers say improving SEO, growing their organic presence is their top marketing priority? That’s right, nothing beats organic growth. We think that building your audience is what matters! Therefore, an audience must be able to engage with your brand, values, and product. In order to build a lasting relationship and associate with your customers, there’s quite a bit of work to be done. Increasing website traffic and building trust is no easy task, that’s why it’s important to stay on top of the issue. Building your online presence is not something you’ll do overnight, that’s why it’s not a bad idea to ask for help. We’re here to help you do exactly that! How? 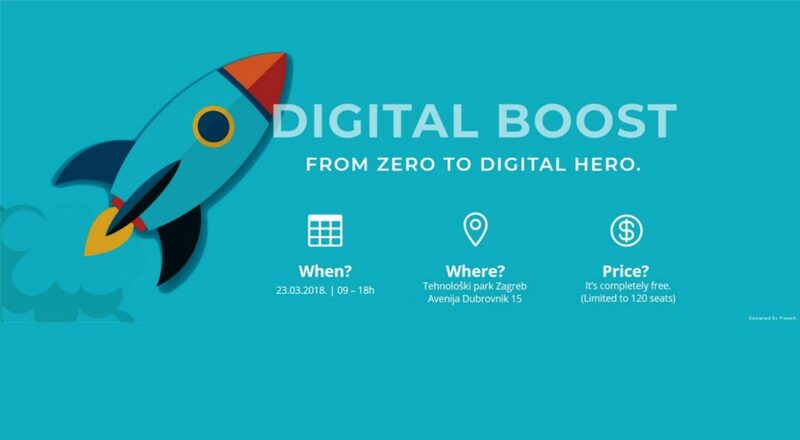 Paldesk is organizing a digital media conference called Digital Boost! We live in a digital age, and it’s critical for any business to have an online presence. Digital Boost aims to bring together digital experts on various digital marketing topics, which will present and explain in greater detail the subjects listed below. What does Digital Boost mean to us? We want to grow and continually develop, keep up with your needs and provide greater value to you and your business. By learning together with you, we hope to gain new knowledge and build relationships with the local tech community. Many of our clients are tech startups who use our omnichannel helpdesk solution, so we’re eager to see what’s working and what’s not in your digital marketing journey. Let’s learn and share best practices at the same time. Don’t wait until the last minute, sign up for the next one! The first Digital Boost conference was a success, so don’t forget to sign up for the next one. More information about the conference, speakers, and schedule will be available soon. Oh, let’s not forget to mention, the conference is completely free!